Commerce Township Fiber Cement Siding | Commerce Township Cement Siding | Commerce Township Cement Board Siding | Commerce Township Cement Lap Siding | Commerce Township Cement Panel SidingMcGlinch & Sons CO.
At McGlinch & Sons you can rest assured that our experienced team of cement siding experts will deliver the quality and durability in fiber cement siding you are expecting. 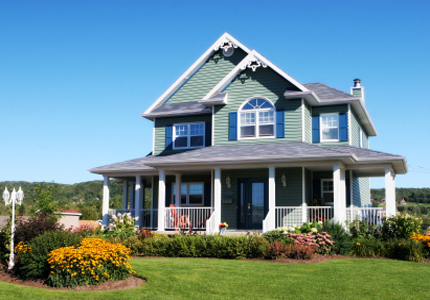 Re-siding with fiber cement siding is the smartest investment for your home. Cement lap siding and cement board siding offer protection from the elements of Mother Nature including moisture that causes rot, insects, and the harsh, unpredictable Michigan weather. The James Hardie cement siding products at McGlinch & Sons are made to withstand even the most severe exposure of water, time, fire and pests and will retain their original beauty with minimal maintenance. Commerce Township is a beautiful suburb of Detroit located in Oakland County with a terrain of rolling hills and vast expanses of flat farmland. It is also surrounded by suburban developments and a population of 40,186 residents. Commerce Township is enjoyed as a summer resort for Detroiters due to the peaceful seclusion of inland lakes and the many challenging golf courses. Many of the residents of Commerce Township are also enjoying the beautiful James Hardie fiber cement siding from McGlinch & Sons. Our experienced installers will complete your cement siding project timely and professionally, we guarantee it! Proudly serving Metro Detroit and Southern Michigan including Commerce Township since 1917, McGlinch & Sons offers premier James Hardie cement lap siding and cement board siding products. Which are installed by our team of certified remodelers to bring you the long-lasting and durable cement siding you are looking for. Resistant to mold, insects, rotting and cracking fiber cement siding is less expensive than brick siding and significantly more durable than vinyl siding making it the most economical value on the market. To learn more or for a free no-obligation estimate on the latest cement siding call McGlinch & Sons at (248) 987-6300 today!